By this point in the school year, most teachers have engaged in ten or more hours of professional development. Whether this occurred over the summer, during back to school week or at an after-school workshop, a few of these sessions may have resonated with you, while other sessions, well, at least you can say that you showed up. One of my favorite education columnists, Valerie Strauss of The Washington Post recently published an article titled The huge problem with professional development for teachers. You can read the article by clicking here. Limit the Initiatives: One of the reasons why many professional development initiatives never live up to their full potential is because there are too many initiatives. Even teachers that fully buy into a concept never have time to see it in action as they are pressured to move on to the next great idea. Please note that I'm putting my money where my mouth is on this idea. One of my colleagues is putting together a New Teachers' Academy. She asked me which topics she should include and I gave her this same advice. Since my school is implementing SIOP, I suggested that the majority of the sessions should focus on this topic. She readily agreed and then signed me up to be the facilitator. 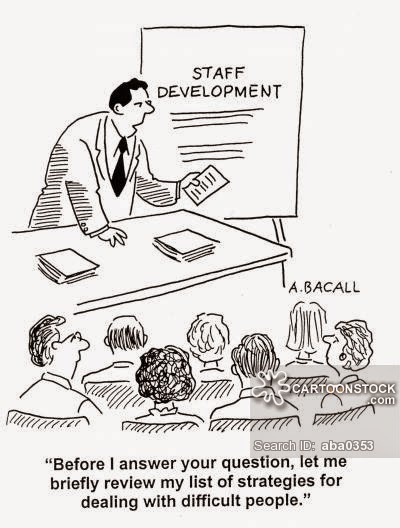 Grow Your Own PD Talent: I have attended many excellent professional development sessions facilitated by outside speakers, while in other cases it was clear that the presenter did not get click past the district website's homepage. There can sometimes be a need for a district or school to bring in someone from the outside, but it should be the exception rather than the rule as it takes up a large chunk of the professional development budget. Between the fee and travel expenses, a district can easily spend $5,000 to $20,000 just to have its educators listen to an idea for three hours. More often than not, the speakers are not around to coach and mentor teachers as they attempt to implement whichever strategy was presented. For a fraction of the cost, school districts could have its own educators conduct professional development sessions and then offer release time to allow them to help their colleagues implement the strategy. If they want to go the extra mile, they could pay teachers a fee to agree to be videotaped implementing whichever strategy was introduced and post it on the district website for other educators in the district to view and learn from. This would not only save the district money, it would allow educators to step into leadership roles while remaining in the classroom. Allow Teachers to Chart Their Own Path: Many teachers spend their own money on educational books, magazines and conferences. Why not give teachers a yearly budget to purchase these items rather than rely on them to reach into their wallet for the sake of improving their craft? Not only would this encourage teachers to pursue their professional development needs without worrying about the cost, it could be a part of the district's teacher recruitment and retention strategy. B2S Ready Week, Day 5: EVERYTHING! Key and Peele's Substitute Teacher: The Movie? 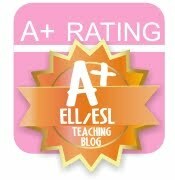 This blog is made up of the experiences and opinions of a middle school ESOL ninja. All opinions are my own and do not reflect those of my school or district.